After all, I visit hundreds of homes each year (including very fashion forward and expensive homes), and I’m a heavy user of Pinterest. I am just not seeing some of these things. I mean seriously, who uses some of these colors and styles? Some of them are just unattractive, and they’re not practical. Some make your space look small and dark. Some require you to do a whole makeover and change everything. And, then I remembered, “A ha! That’s it! They just want everyone to buy more stuff.” Just like what they do with the fashion trends. And, then they want you to buy more stuff next year. Well that’s just not me. I look for stylish solutions that are practical – trends that last. I like styles that are up to date, but will also stand the test of time. And, I don’t want my customers to feel like they need to change everything in their whole home or room. It’s different when someone’s moving into a new home and they’re starting from scratch. But, my philosophy is to avoid the “color of the year” and instead go for shade you love and will last a decade…or even more. It’s really important to remember that there are certain features that are easy and inexpensive to change such as paint colors, floor stains (assuming you have solid hardwood and can refinish them), hardware for cabinets and light fixtures, area rugs, pillows, window treatments and other design accents. And, there are also items that are semi-permanent and rather challenging and expensive to change (e.g. 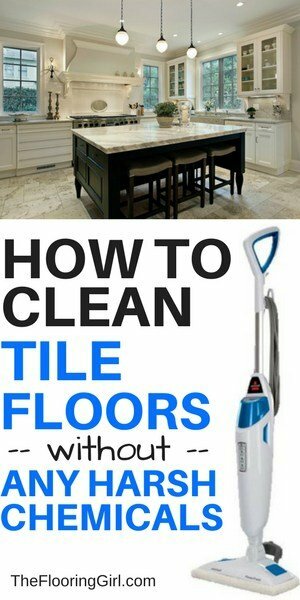 tile floors, backsplashes, kitchen cabinets). So bear this in mind as you make choices that you may need to live with for 20-30+ years and may impact the selling price of your home later. Please note that this article may contain affiliate links. You can ready my full disclosure at the bottom of the page. Cool tones include grays and blues, while warm colors are yellows, reds and oranges (think about the sun). I’d say that at least 80% of our customers prefer cool tones, 10% warm tones and the other 10% go for a blend. 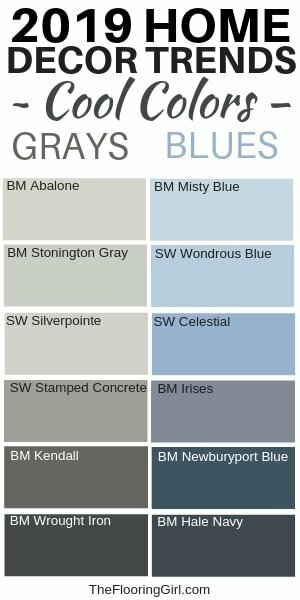 When it comes to paint colors for the walls, this translates to grays, greiges, blues and whites. 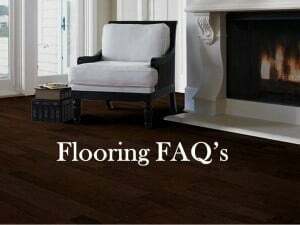 For flooring, this translates to dark brown floors (e.g. ebony, espresso, dark walnut), grays, white washes and natural with water borne poly (i.e. a move away from yellow, orange and reddish floors…or even underlying red/yellow tones). For cabinets, this translates to whites, grays and blues (both cool light blues and navy) and espresso. 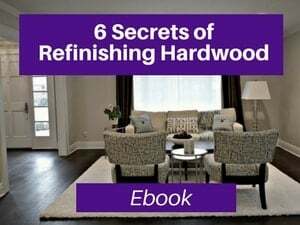 There’s a strong preference for painted cabinets or very dark stained cabinets and a move away from light or mid toned wood…or wood that shows a strong grain. These cool color preferences also transgress into hardware and appliances. Brushed nickel and silvers are preferred over gold and brass. For appliances, stainless steel is by far the most popular, but also icy whites and blacks also work with the cool color palette. 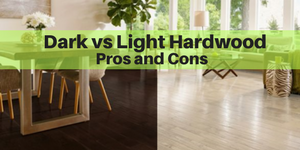 Which shades of paint go best with dark hardwood floors? 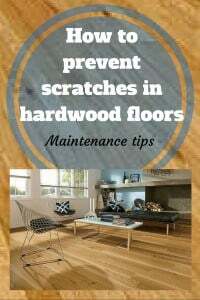 Hardwood is by far the preferred flooring type and it keeps growing. Homeowners are so in love with hardwood that they are expanding its presence within the home to the kitchen, entryway and powder rooms. 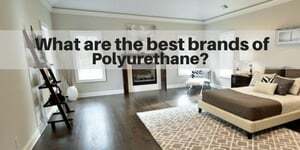 The 2nd most popular choice is to use alternative flooring surfaces that look like hardwood. 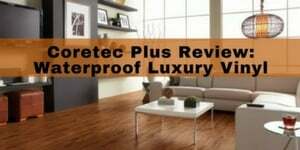 So we see porcelain tile planks that look like hardwood and now we have engineered vinyl planks (such as Coretec Plus) that looks like real wood. 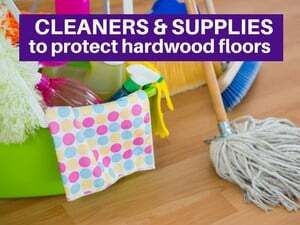 These products are incredible because they look like real hardwood…but they are waterproof! 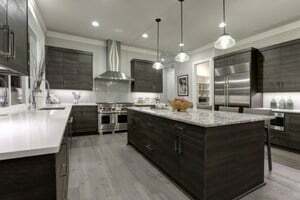 This has been on the rise for many years as most generations (Millenials, Gen Xers and Boomers) prefer an open floor plan, especially where the kitchen and family room (or kitchen and dining room) are combined into one (and the dining room is usually converted to a family room). 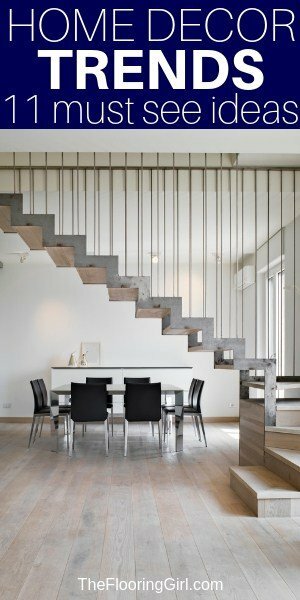 This floor plan opens up the space and literally makes it larger (by removing a wall) and adds light and openness to the area. It’s so much easier for moms to keep an eye on their kids as well as just foster family togetherness (as well as create a great space for casual get togethers with guests). So, new home buyers look for this…or else they convert this space after they close on the home. Now, what’s so interesting about this is how this trend accelerated decor trends that were already underway. As this space has opened up, homeowners want the same flooring in the kitchen and family room…and of course this is usually hardwood flooring (or else a hardwood look-alike). Also, most will carry the same paint color throughout the whole area for more consistency (and it makes the space look larger). This open concept trend has also enabled larger kitchens, which in turn has enabled the creation of more and larger islands. 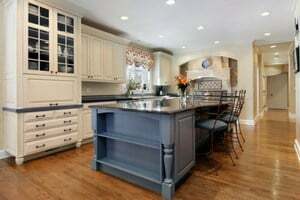 We now see all sorts of unique shaped islands as well as the ability to tastefully have one shade of cabinet color for the perimeter of the room and a different one for the island. And, this in turn has added some more color to the kitchen. Some choose to go white and black, and some introduce a new color into the room (e.g. navy or a lighter blue). Oh, and before I go any further, I recently stumbled across this awesome video from a designer named Rebecca Robeson. She’s amazing and apparently the most viewed interior designer on YouTube. And, if you watch this, you’ll understand why. Check out her clever home hacks. These decorating ideas can be done on a budget. Check it out. For the most part, muted paint colors are in, both for walls and cabinets. Some of this is due to the dramatic dark flooring and the need for more contrast, but part is also due to the preference for cool colors, especially gray. So, what I’m seeing is many colors that are muted with gray undertone. The other trend (which I’ll discuss below) is the farmhouse style trend. These colors are light and muted (note: they are not pastel…they are just muted). While I do see saturated navy and some dark grays, I generally see this as accent walls, or on walls where the bottom of half of the wall is white wainscoting. I don’t get most of these bright saturated shades of paint I’m seeing on the paint manufacturer’s sites. They just aren’t attractive and they’re not practical. So, I don’t believe they will stick (not do I believe they are trending). I’m thinking they’re just looking for more ways to sell paint. Farmhouse style has just taken the world by storm. This is part of an overall trend towards simpler times and nostalgia which has been growing for over 2 decades. And, now it’s been reinvented and taken to a new level by Joanna and Chip Gaines from their Fixer Upper TV show. Prior to that, no one had even heard of shiplap…and now you see it all over. (Check out 8 ways to decorate your home with shiplap). Farmhouse sinks are all the rage these days, both due to this style of decor and also due to their ergonomic benefits. (See The most popular farmhouse sinks and how to choose one). 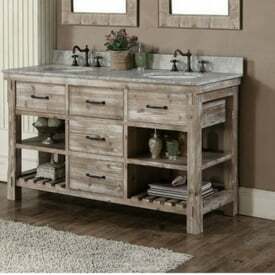 This is one of the most popular farmhouse sinks and you can buy it on Amazon. 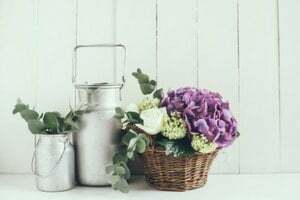 Everywhere I look on Pinterest, I see Farmhouse decor and farmhouse finds. Much of this can be bought online of made as part of a DIY project. Soon, I’m going to have do a whole article on this. 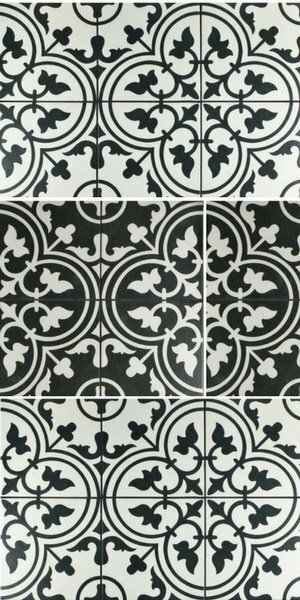 Oh, and as part of the Farmhouse craze, I’m starting to see these stenciled tiles (and other stenciled patterns) becoming popular for small areas such as bathrooms, powder rooms and entryways. These delicate patterns can be mesmerizing. Again, it’s a desire to live in a simpler time and place. Farmhouse style is also associated with open shelves – both for style and convenience, so we’ll be seeing more of those, even in modern kitchens. These days, people are trying to go for practical decor…decor that this long lasting (i.e. durable) and will stand the test of time (i.e. not go out of style). 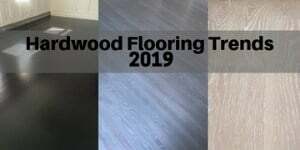 I’ve been seeing people go more neutral with their walls and when it comes to floors, most prefer solid hardwood over engineered as it will last for a lifetime. 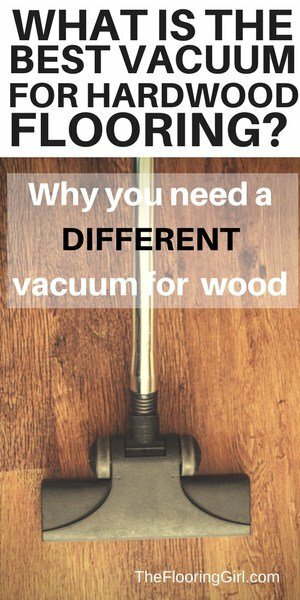 With the stress and chaos of regular life, people are looking for time saving mechanisms and items that are much easier to clean and maintain. On the convenience side, many prefer open shelving (for some areas) as it’s one less step, and flooring that can take a beating. 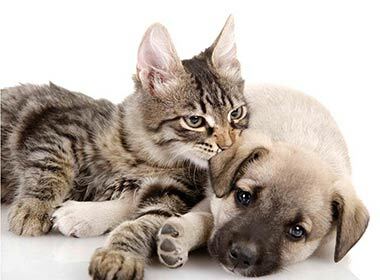 They prefer hard surfaces over carpet (which takes more maintenance and wears down faster). Gray is everywhere and just continues to explode – the walls, floors, cabinets, areas rugs and other accents. The key though is balance. Putting gray everywhere is dreary and boring. But using is as a primary color and base color creates a fresh and contemporary look. And, then you can add an accent color with them. It depends on the room, but I’ve found gray to be most practical for wall colors or cabinets. This makes it much easier to decorate with (vs. gray on the floors which becomes more of a design challenge). For the kitchen, gray works very well for either the cabinets or the walls (but not usually both). 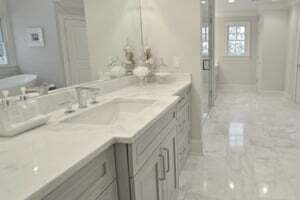 Marble counter tops have been growing in popularity, especially Calcutta gold, especially among the luxury market. The problem with marble is that it’s very porous and a bit soft, so it stains easily and requires a lot of maintenance and upkeep. Also, Calcutta Gold is very expensive, so you tend to find it high end homes…where people often don’t cook or they have lots of help. Capitalizing on this trend, the quartz manufacturers have developed amazing looking white countertops that look like Calcutta gold (and other white marbles). So now, they merged the stylish look with a material that’s much more practical and easier to clean…and it’s much less expensive, so a win-win-win. Quartz also enables homeowners to get a true white counter top (granite tends to be darker, yellower and grainier in the lighter shades), as well as some nice gray options. I’m amazed when I look at some of these white quartz counters. 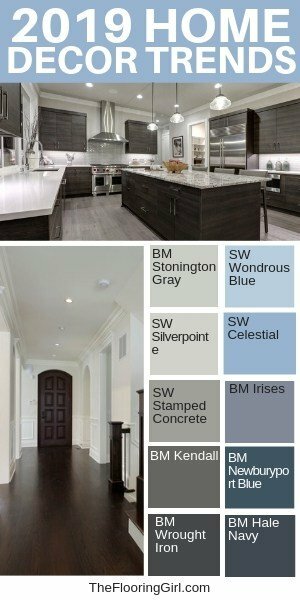 They are amazing looking and they work so well with white cabinets and dark floors, as well as the trend towards grays and cool colors (e.g. light blues) on the walls. Quartzite has also been growing rapidly, but this is more expensive. The rise of Pinterest and strong presence of DIY bloggers on there has made Do-it-yourself projects much easier and more attainable. 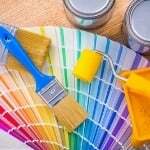 Especially among Millenials and first time home buyers who may be more constrained on disposable income, more and more are opting to do many some home improvement projects themselves. In particular, many are opting to paint themselves as well as paint their cabinets. This may sometimes exhibit itself as minimalism, but more often it’s about decluttering (yes, less is more) and better organization. Less clutter = less stress and less mess. If you scour pinterest, you will see tons of organizing hacks. Most of them will make your space less cluttered and make it simpler/easier to find things. This also fits in with the overall life style trend of hygge (pronounced Hue-gah not hoo-gah nor hi-jee). The Hygee movement strives to take pleasure in making ordinary everyday moments and make them meaningful. 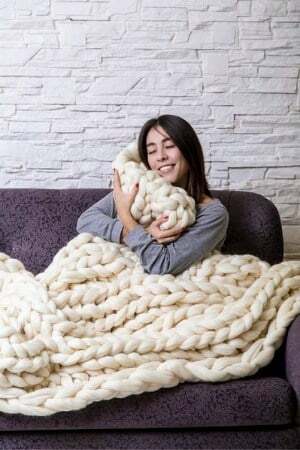 It includes loving the everyday comforts of home such as comfy quilts, window seats and nooks, oversized sweaters and wool socks, chicken soup, fireplaces and candles, and a great cup of coffee (or tea). Surface textures play a big role in our home and these can impact the feel as well as perceived color of objects. When it comes to walls, it’s all about flat finishes (egg shell and shinier are dated); for floors, matte and satin are preferred (semi gloss is dated and shows imperfections more); for counter tops, we see more honed and natural looking surfaces, for cabinet hardware and fixtures, we see more brushed nickel and matte options (including black matte finishes). Even stainless appliances fit in with the brushed and more matte finish trend. More and more customers are gravitating towards more natural and organic options and colors. In particular, I’m seeing a strong preference toward hardwood, natural stone, plants, daylight and jute (or sisal) area rugs. When it comes to paint colors, these styles often work well with lighter and more muted neutral tones (see farmhouse paint colors). I’m amazed at the growth of open shelving, especially for kitchens and bathrooms. Part of this is due to rising popularity of farmhouse decor and the other part is the extra space and light these open cabinets add to a room. 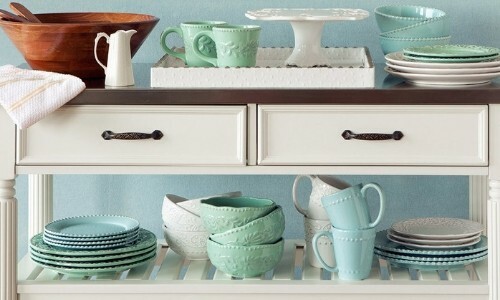 Now, homeowners are able to showcase their styles in what they display in the open shelving. 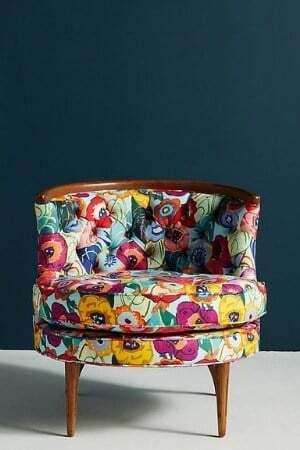 And, it’s a great way to add some color to a room without overpowering it. With so much uncertainty in the world now, people are looking to nurtured and secure. 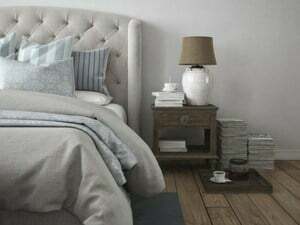 We are seeing more upholstered headboards, pillows and bedding that just feel like a warm hug. We also see people investing more in high quality mattresses, memory foam pillows and toppers. Powder rooms used to be seen just as convenience and utilitarian room. But, over the years, homeowners have wizened up and realized it’ a great space to showcase their style to their guests. 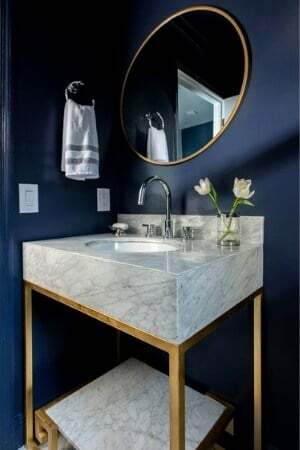 While most people prefer to choose a neutral paint color in the main common areas, powder rooms are small and defined space, and many are choosing to pick a dramatic paint color or eclectic design to allow their personality and sense of style to shine through. We are now seeing a lot of navy, black and other vibrant and saturated colors on the walls and fun flooring (especially black and white mosaic tiles). OMG, I’ve been falling in love with these light. You lights can now serve two purposes – brighten up the area and some design flair. Pendant lights are great because the lighting is more targeted, and you can now find virtually any style you desire from farmhouse style to ultra modern and everything in between. 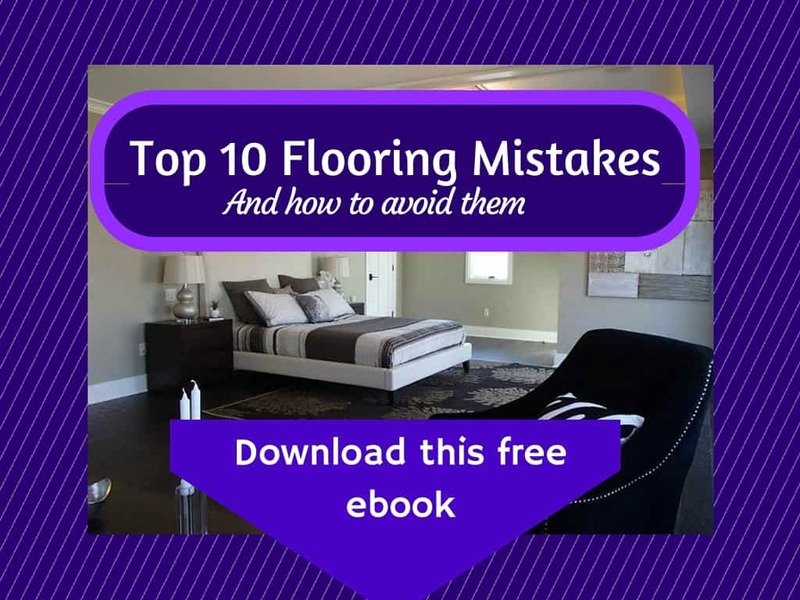 I see them most often in kitchens, but they’ve been working their way around the home including dining rooms, entryways, family rooms and occasionally bathrooms. 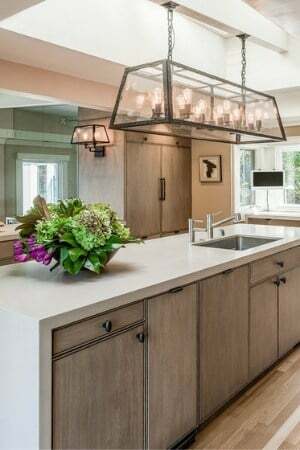 If you’re into pendant lights, you may enjoy this article: 15 best pendant lights for kitchens and dining rooms. Mid-Century Modern has been making a huge comeback. This style makes use of geometric shapes, clean lines and tapered legs. It leverages wood and bright colored patterns to draw attention to the furniture. 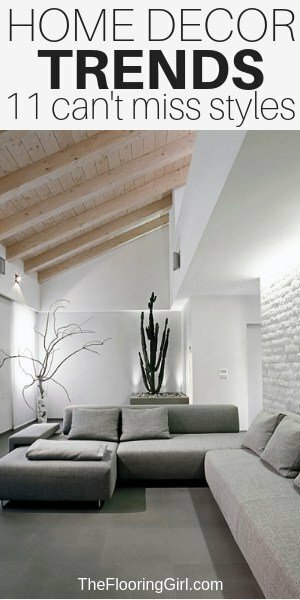 And, it combines form and function for comfortable and simple decor. These pieces are eye catching and ergonomic. They make your space more liveable. 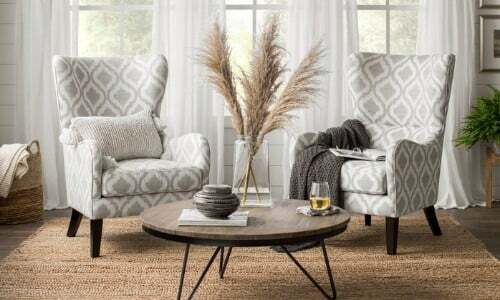 This style has evolved over time in favor of curves – tub chairs, curved sofas and chairs. One of the more surprising color combos that just works is gray + yellow. Yes, I know, it may sound counter-intuitive, but check it out! It works because the neutral gray offsets the vibrant yellow. They are complementary on the color wheel and the combo makes a big statement. 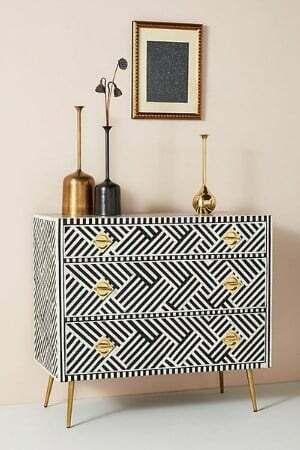 There are really unlimited possibilities of combining shades of gray with yellow and integrating black and white…and mixing and matching patterns. It’s interesting because sometimes it’s very challenging to find the right gray combo or the right yellow, but when you mix the 2 together, almost every thing seems to work in harmony. 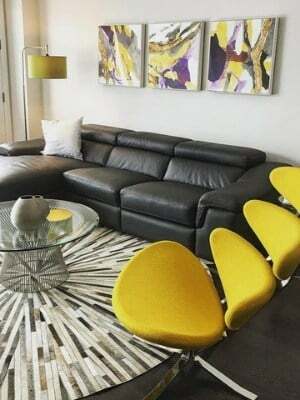 It works best when you use gray as the base (especially on the walls and use yellows for the accessories and accents (e.g. pillow, area rugs, accessories). Also by using gray as your base, if you want to make a change in a few years, it’s very easy to change your accent color (e..g. change the yellow to a pink or a turquoise). Backsplashes have been getting a makeover. 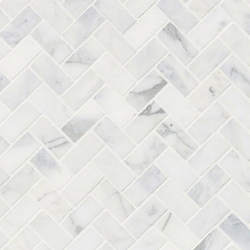 Gone are the days where a simple white subway tile will do. Customers are upgrading the look and thankfully, the current backsplashes aren’t wild or crazy. Most prefer a simple and upscale look with neutral colors that bring the space together, with white as the most popular color. Instead, people are upgrading the material (moving towards marble and natural stone) and choosing different shapes and textures (e.g.tear drops, linear tiles, chevrons, multi-level surfaces). If you’d like to see my top picks to backsplash recommends, check out 20 Neutral backsplash tiles you can’t resist. There you have it. 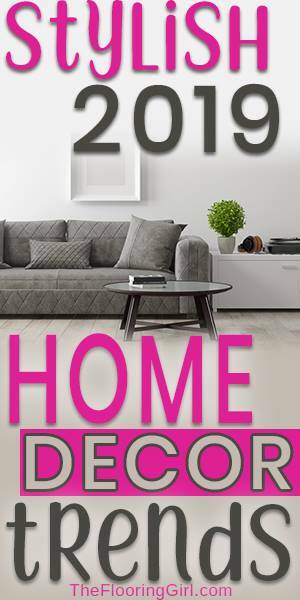 Those are the Home Decor trends I’m seeing for 2019 and beyond. These are already present in many homes and they fit in with overall trends we see in many parts or our lives, such as a trend toward simplicity, comfort, practicality, frugality and desire to save time. Feel free to leave your questions or builds below in the comment section. 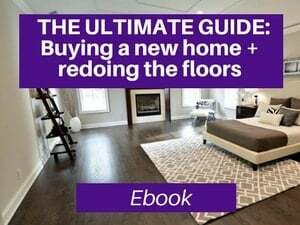 Which paint shades go best with dark hardwood floors? 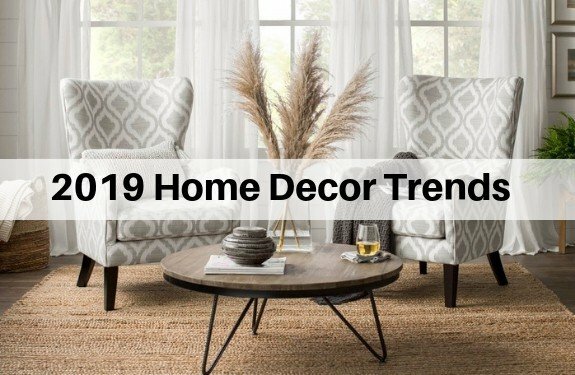 2019 Interior decorating styles - 19 stylish and growing trends for your home. Practical home decor advice that will last for years to come. I am 75 and I think everyone should style their home with what they like not do it like everyone else’s. Wanita – Yes, I agree that people should decorate to their tastes…unless they are selling their house and want to get the highest value. But, yes, for the most part, go with what you love. We are remodeling a beach house. Your article is excellent to guide me. We have removed the carpet upstairs and found terrazzo floors under. We have had them polished. They look beautiful in the middle except around the edges and door frames where the carpet strips were located. The contractor filled the holes left by the carpet strip and cracks cream color but it does not match the floor which is speckled beige and grey. We plan to put baseboards and that should cover the edges. What can we do to improve the look at the door entries and door frames where we cannot put baseboards? We are in Fort Lauderdale and tried to find a company that would do detail refinishing work but could not. Any suggestions on how we can fix this? Thank you. Sylvie – I’m sorry, I don’t have any experience with that. People rarely use terrazzo here in NY except for hallways in old buildings. I’m not sure that there is anything that you can do. I would think the only option that could work is to somehow refinish it with a diamond tip (and do whole floor). It’s not cheap. I would contact a granite store. 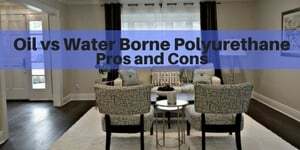 They might be able to recommend someone who can refinish these…it would probably the same process as refinishing marble or other natural stone. The other option might be to install some marble saddles to cover the door way transitions. I’d love to know how to Pin this article. Lenora – Oh yes, sorry…I have my social share plugin disabled (for now) as it’s been slowing down my site. About to upgrade the server and will then install a new plugin. Sometimes, it works when you hover over the picture.